Lisa Lang is a renowned Theory of Constraints (TOC) expert and is the foremost expert in the world for applying Theory of Constraints to marketing. She is regularly sought out for her expertise on developing market offers (mafia offers) that increase sales. She has been named a Manufacturing Trendsetter in the USA Today for her work helping highly custom job shops and machine shops to become more productive, more competitive and to bring manufacturing back to the U.S with Velocity Scheduling System. Dr. Lisa has also appeared in CNBC, CBS, The Wall Street Journal, Newsweek and Yahoo Finance to name a few. Dr Lisa is the President of the Science of Business, a consulting firm specializing in helping companies to achieve bottom line results. She has served as the Global Marketing Director for Dr Eli Goldratt, father of Theory of Constraints and author of The Goal. Dr. Lisa Lang is the inventor of The Mafia Offer Boot Camp. Dr Lisa has a PhD in Engineering from the University of Missouri – Rolla. Before becoming a consultant, Lisa was in operations, strategic planning, purchasing, and R&D while working for Clorox, Anheuser-Busch and Coors Brewing. 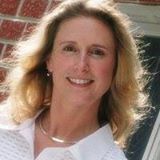 In addition to consulting, Dr Lisa is a highly sought after Vistage/TEC speaker on "Maximizing Profitability”. Dr Lisa also provides professional keynote speeches and workshops for organizations like: TLMI, ASC, NTMA, NAPM and private events for corporations like: TESSCO, Bostik, GE, and Sandvik Coromant. Dr. Vicky Mabin is a Professor of Management at Victoria Business School, Victoria University of Wellington, NZ, specializing in TOC and the decision sciences. Prior to joining VUW, she worked for NZ’s scientific and industrial research organisation, working as a consultant to business, government and industry on a wide range of strategic and operational problems. Vicky holds BSc(Hons) and PhD degrees and a Postgraduate Certificate in Higher Education Learning and Teaching. She is certificated in the TOC Thinking Processes, Operations Management and Distribution Management, and an academic Jonah. She is a Fellow of the Operational Research Society (UK) and has held numerous positions with ORSNZ including President, and NZPICS. 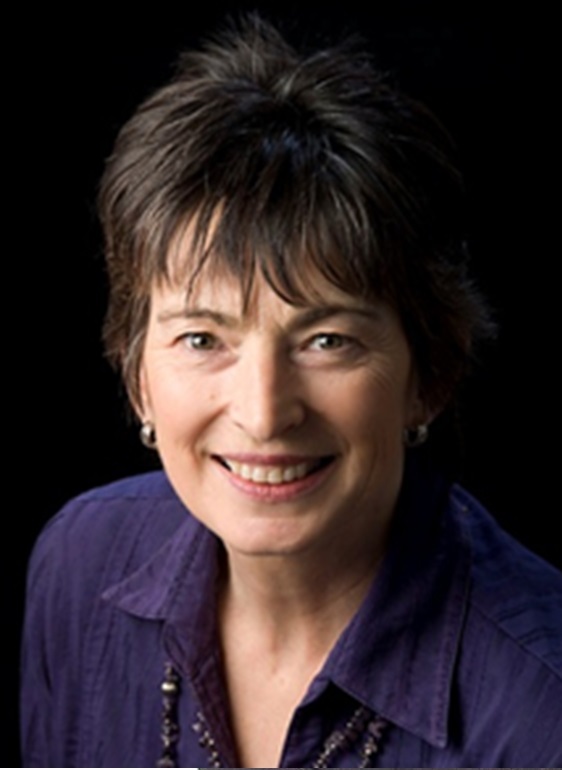 She has published widely in books and international journals, co-authored The World of the Theory of Constraints, and the lead chapter on the TOC Thinking Processes in the TOC Handbook, published by McGraw-Hill in 2010, and has given numerous academic and practitioner presentations and workshops. She is leading the team developing the TOC Research Database, has served on the examinations board for TOCICO, and as an editor for the Decision Sciences Journal of Innovative Education, and International Transactions in Operational Research, and for the TOCICO white paper series. In March 2015, Eli has opened a blog, now containing more than 70 articles on various topics in TOC that everybody can access. Russ Johnson has been teaching and implementing Theory of Constraints, Lean and Six-Sigma/Quality Management tools and concepts at the university level for many years. During that time he also worked in conjunction with the Iowa Small Business Development Center and Colorado’s Manufacturing Extension Partnership to bring these concepts to more than 100 companies via student centered projects and direct consulting. 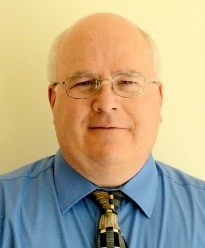 He has many published articles and professional association presentations on supply chain management, project management, Quality systems/Six-Sigma, lean production and Rapid prototyping/rapid tooling. Dr. Johnson is certified in the TOC Operations (Drum-Buffer-Rope) and Supply Chain (Replenishment) Management and TOC Critical Chain Project Management applications by the TOCICO. Dr. Johnson is also an active member of several professional organizations including ASQ, APICS, SME, and TOCICO. Eli Schragenheim is a well known international management educator, author and consultant active in various fields of management like corporate strategy, decision support, innovation, supply chain, project management, shop-floor control, IT and HR. He has worked with huge variety of organizations all over the world, including public-sector organizations, industrial, high-tech and start-ups. Since he had joined Dr. Eliyahu M. Goldratt, the famous creator of the Theory of Constraints (TOC) in 1985, Eli Schragenheim has taught, spoken at conferences and consulted all over the globe, including the US, India, China, Japan, Canada, Britain, Russia, Brazil, Colombia, Israel, Germany, Italy, Belgium, South Africa and Australia. He taught and trained high-level managers and consultants to use TOC in the most effective way in all the above countries. Many of his past pupils are now practicing TOC in the highest levels. Eli Schragenheim is also known for his own software simulators and management games designed to experience the thinking and potential of the Theory of Constraints (TOC) in complex environments. Eli Schragenheim was a partner in the A.Y. Goldratt Institute and a director in The Goldratt Schools. He manages his own company Elyakim Management Systems (1992) Ltd. He served twice as a board member of TOCICO – the TOC International Certification Organization, a non-profit organization that was created by Dr. Goldratt to spread the TOC knowledge in the world. Lately Eli Schragenheim initiated TOC Global, an international organization of the best minds in TOC, to support TOC implementations worldwide, and generate huge value for large clients and projects all over the globe. Eli Schragenheim is the author of several books on various aspects of management. His first book Management Dilemmas (1998) showed a variety of problematic situations in management and the rigorous analysis leading to the right solution. Next he collaborated with William H. Dettmer in writing Manufacturing at Warp Speed. In this book the new concept of Simplified-DBR, now a key concept in production planning according to TOC, was introduced. He also collaborated with Carol A. Ptak on ERP, Tools, Techniques, and Applications for Integrating the Supply Chain, and with Dr. Goldratt and Carol Ptak on Necessary but Not Sufficient. In 2009 his book Supply Chain Management at Warp Speed, with William H. Dettmer and Wayne Patterson was published. He also contributed two chapters for the Theory of Constraints Handbook, edited by Cox and Schleier published in 2010 by McGraw-Hill. Sanjeev Gupta has founded two companies to provide TOC solutions, Thru-Put Technologies and Realization Technologies. Thru-Put was named a Top 5 vendor of manufacturing planning and scheduling software by AMR Research in 1997, and Realization has helped its clients generate more than $4B in additional cash and profits by completing their projects faster. Sanjeev has an BS in Mechanical Engineering from the Indian Institute of Technology-Delhi and an MS in Management and Public Policy from Carnegie Mellon University. Yaniv is recognized worldwide as a leading authority on the Theory of Constraints (TOC), and was a direct student of Dr. Goldratt from 2006 until Dr. Goldratt’s passing. Yaniv has led some of the biggest TOC projects over the past decade in manufacturing, supply chain management, sales and marketing (SFS), CCPM and retail industries the world over.